Furniture is an inseparable element in home decorating. 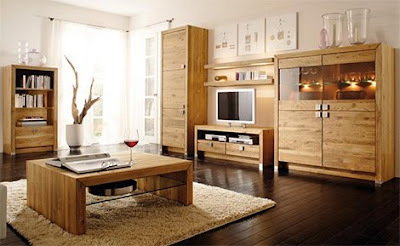 It is furniture that makes the rooms in a home habitable/usable. Depending upon the use of the room, the quanity of furniture changes. In early ages a lot of emphasis was given on the size of the furniture. for example the king was give a “throne” which clearly stated his status within the society. From then furniture has become a fashion trend with furniture design as a complete profession in itself. Primarily furniture comes in two main body frames, wooden and steel. Very basic difference between the two types of furniture is the method of manufacturing them. Lets take a look at some of the basic pros and cons for these two types of fornuture body materials. Wooden furniture is the most widely used and opted for type of material for furniture. The main reason is ease of use. Stnce wood is a soft material to work with (as compared to steel), manufacturing furniture with wood requires less amount of initial investment in terms of money. Carpentary skills required to carry of furniture jobs can also be easily learned, hence it is a popular type of furniture type. From users point of view, wooden furniture looks very aesthetic and becuase of its soft nature decoration can be easily made on wooden surfaces. 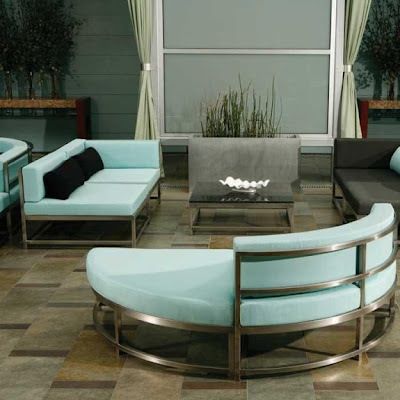 Steel furniture has gained much popularity after the advances in technology in the metallurgy field. Manufacturing of steel furniture does require special tools and skills. The greatest advantage of steel furniture is its strength and lifespan. Stell furniture can be put under the category of “contemporary furniture”. Becuase of the flexible manufacturing process, furniture with any size and shape can be easily designed and manufactured today. Wooden furniture does hace certain limitations when it comes to shapes. But our main question remains unanswered! which one should you go for, wooden or the steel furniture? Of course there is not a straight forward answer for this question. You can go for a wooden theme or a complete stell theme design or a combination of both. But there is a different point of view for looking at it and that’s visual quality.. Both wooden and steel furniture has got their own visual impacts on our mind. This visual impact will differ depending upon final fiish of the furniture piece. So it’s not just use of the furniture piece, but aesthetic features also matter a lot. If you go for “all stell” furniture theme your interior space might look like a modern and contemporary styles, which might not be acceptable at times. On the other hand the “all wooden” furniture theme might give your spane a country type of look. Because furniture pieces are the first things which are visible when we enter any room, their selecton greatly affects visaul qualities of spaces. There is one more point to consider here. If you are the kind of person who likes to shift the furniture layout more often, go for steel furniture. Of course this is not the ultimate rule of the world. I am saying this simply because it is easy to transfer the steel furniture from place to place with the help of wheels. Thus whatever type of furniture you choose you must consider that it’s not just usability but visual factors are eqaully responsible for the beauty of interuior spaces.